Well, sort of. Technically it’s next week. But if you could sit next to me and witness this deafening performance of A CHORUS LINE being put on by 37,000 robins on my back porch at 6am, you’d agree. Spring is up in this piece. I’ve never said “up in this piece” before. It kind of tickled. OH HOW I LOVE THE SPRING. It’s time for fresh starts! 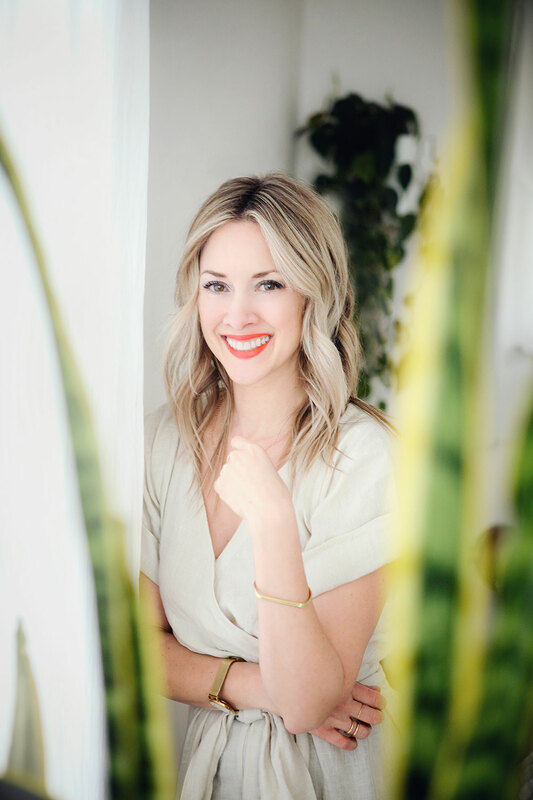 It’s time to change filters, clean gutters, break out the chacos, prep garden beds, hunt for morel mushrooms, learn how to manage my crush on Phillip Phillips on American Idol. Seriously, someone needs to make him stop being so delicious. I want to plant him in my garden right in with the tomatoes. Naked. 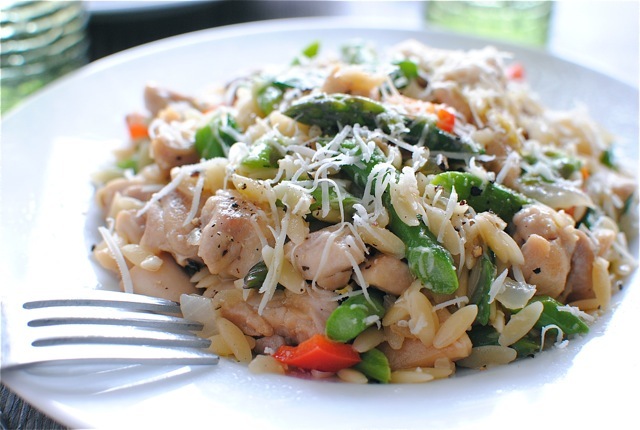 I will now attempt to distract you by talking about spring food and this springy orzo risotto thingy that I made with chicken and lemon and asparagus and scallions. 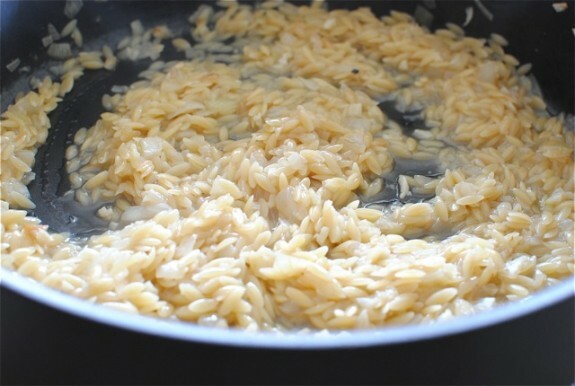 And see, I made it like a risotto, where you ladle the broth into the orzo little by little, to creamy it up. I mainly did it this way because I wanted to pour a cup, I MEAN 1/4th a cup of vermouth into it. Spring’s orders! But if you want to skip the booze (uh, why again?) 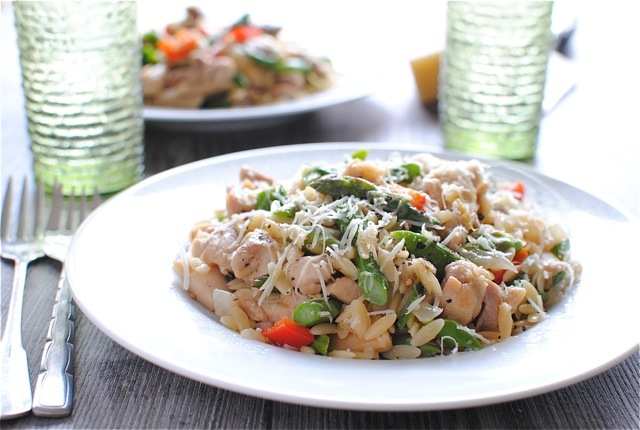 and skip the ladling, you can always just boil up the orzo in some stock or water and toss it with the seared chicken and veggies! Ner prerblerm. This is going to rock your mouth straight off like a ping pong ball into the spring heavens. Oh! ROCKIN’ ROBIN. Like on my back porch? You’re still thinking about tomato plant Phillip, aren’t you? Me too. 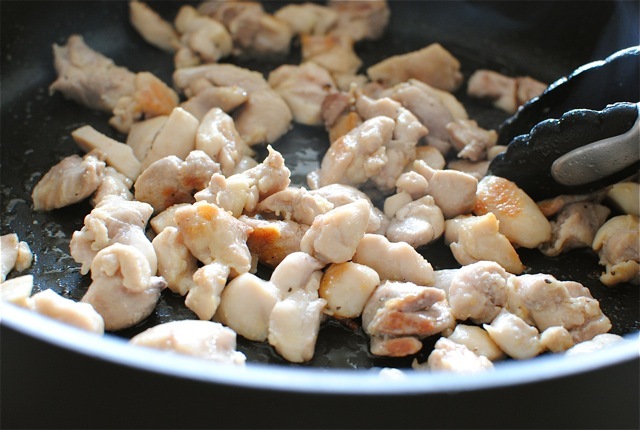 Bring the chicken stock to a light simmer in a small sauce pan. 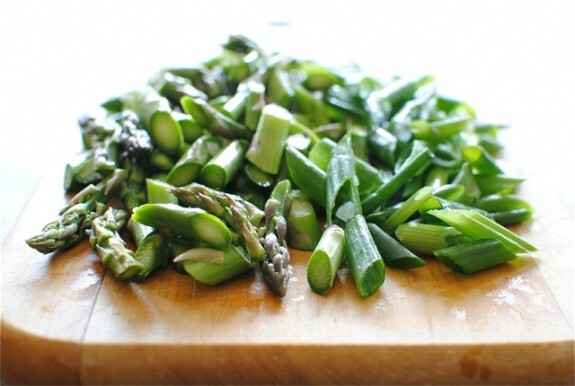 Add the asparagus and cook until crisp-tender, 2 minutes. 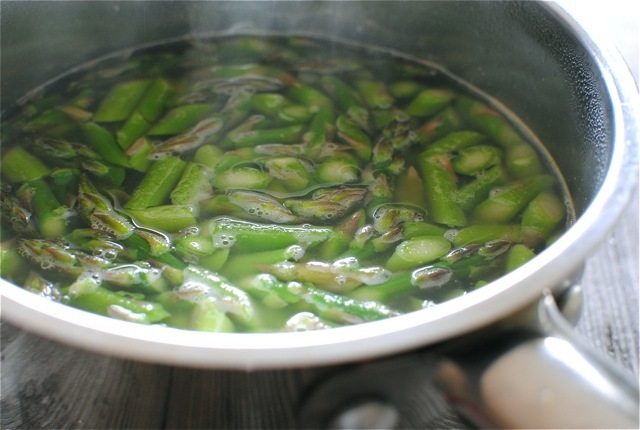 Using a slotted spoon, transfer the asparagus to an ice bath, stopping the cooking. Heat 1 Tbs. oil in a medium skillet over medium high. 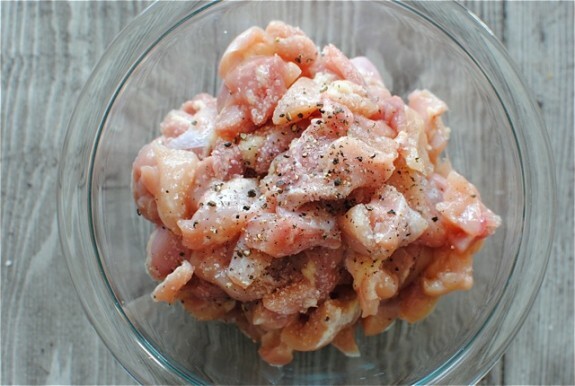 Add the chicken, toss in a pinch of salt and pepper and cook until browned on all sides and cooked through, 8 minutes. Transfer to a plate. Add the other Tbs. of oil to the skillet. 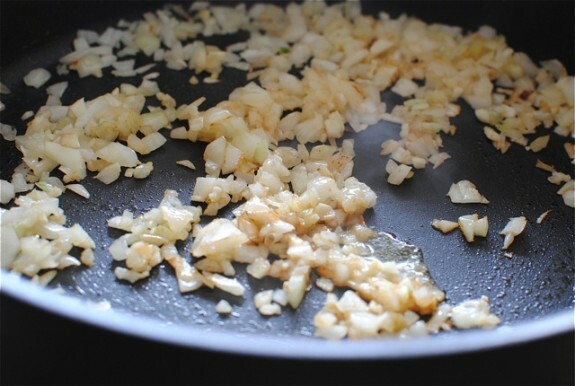 Add the onion and garlic, saute 3 minutes. Add the orzo and “toast” for about a minute. Add the vermouth or wine and cook until mostly absorbed, 2 minutes. 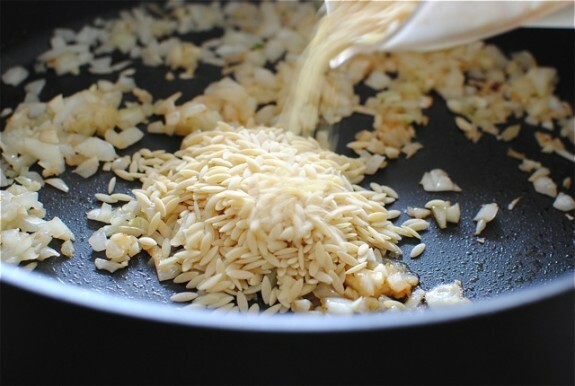 At this point you’ll ladle the broth into the orzo, one ladle at the time, until the orzo has absorbed the liquid and become nice and creamy. And dreamy. This takes about 15 minutes. Add the asparagus, red bell pepper and scallions to the orzo. Toss to combine. Add the chicken back to the mixture. Take off the heat and add the butter (or oil) and cheese. Add about a Tbs. of lemon zest to the dish, along with a few good squeezes of lemon juice. Toss to combine. Taste it. Salt it good. 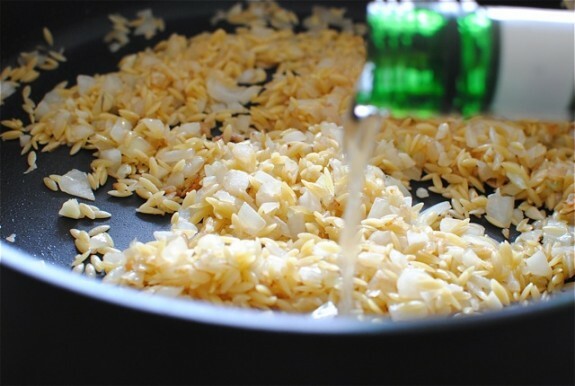 Serve risotto garnished with more lemon and parmesan cheese. And fresh basil. And Phillip Phillips. This looks perfect, Bev! I am SO happy spring is finally here...although here in Michigan, winter never really made its appearance...at least not with its usual fierceness. Not complaining! ...that awkward moment when you find out that a fellow blogger from Arkansas is trying to steal your American Idol man....sigh. I claimed him like, a LONG time ago...so....... I may consider sharing him if you bring me some of this for dinner!! Oh lots of lovely spring like flavours, delicious! Sparing is heaaa is right! Looks terrific! Bev, this looks amazing. I hardly ever cook with orzo and need to make an effort to cook with it more often. Um, yum. Bring on the spring!! 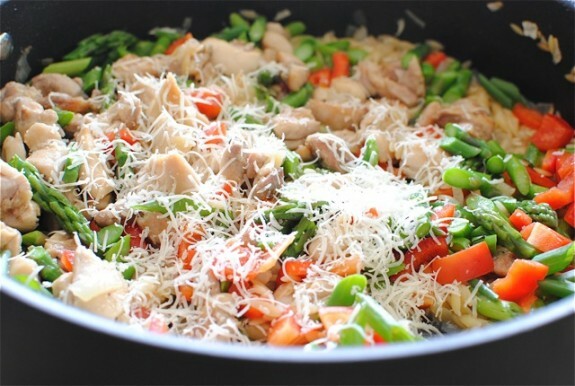 Love all the colors playing in this dish... orzo is lovely and all these veggies and chicken pieces in this dish, yum! 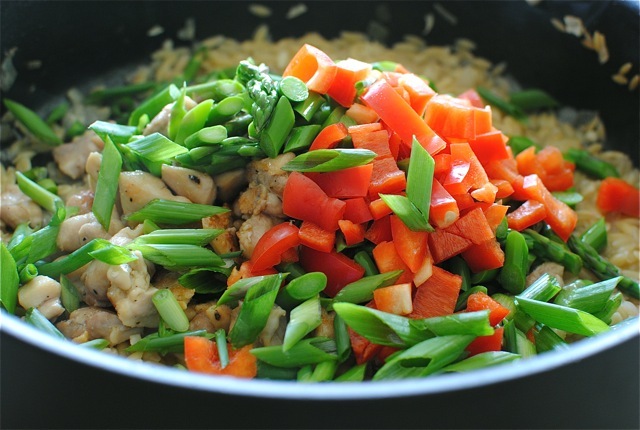 This dish looks like one I would love! I want ping pongs of flavor bouncing off my mouth! Must print recipe! Oh yes, Phillip Phillips gets our vote! Probably because we are huge Dave Matthews fan and he has that vibe. Love your spring-y salad! Wow, can't wait to make this...looks delicious and I can just smell "Spring." Bring on the spring veggies! We have had some awesome asparagus already this year. Risotto is my favorite, too! Lucky for you, it's sunny here today. If the snow was falling, I would have slapped my computer screen for you being so yippity skippity over Spring. But since it IS sunny... WAHOO SPRING IS HERE!!! Shovel those fresh veggies into my mouth, please! Holy balls. I am loving this! It is so perfectly springy! I am going to have to do this or something like it STAT. Whoaa, this looks crazy delicious! Sooo excited for springtime! I don't care if spring isn't technically till next week. ITS HERE!!! How do I know? I took pictures of dinner at 6:30 last night and there was still enough natural light to make it work. If food could be "happy" this would be the mark to which happiness was judged. Gorgeous! Talk about some step by step pics. That took more than 2 minutes to do :) Beautiful! Oh it's beautiful! Sadly in Northern Oregon...it is still WINTER! But this looks like a meal that will make me feel like Spring, which is all that matters. And, uh, I'll stick with the vermouth:). What a beautiful spring dish! And risotto with orzo pasta... Yes please! 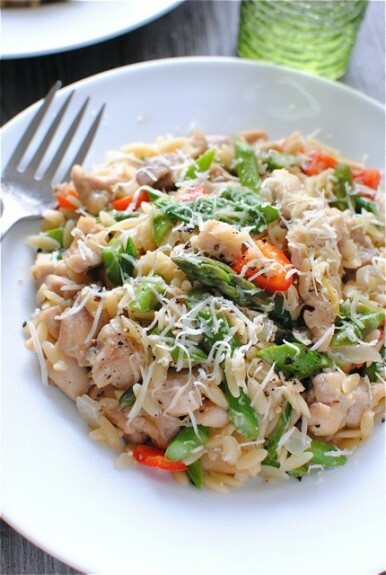 I wish SPRING was here now so I could enjoy this dish! Maybe next week! This is my favorite kind of meal. Yum! 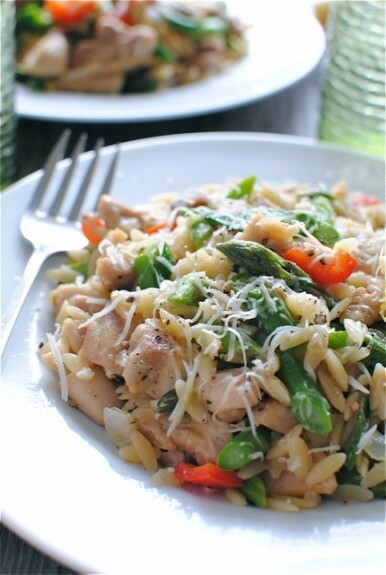 It has been forever since I have made orzo and I've been craving it lately - you must've read my mind! 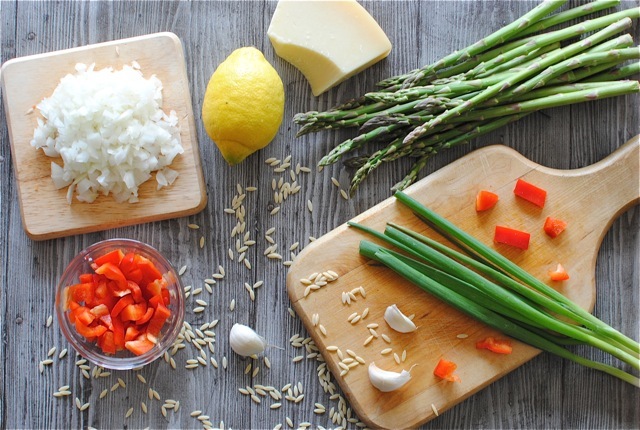 Protein, carbs, veggies...this is quite the well-rounded, healthful and colorful meal! Looks great and hope you had a fun weekend! Seriously, Bev. How do you keep doing it? 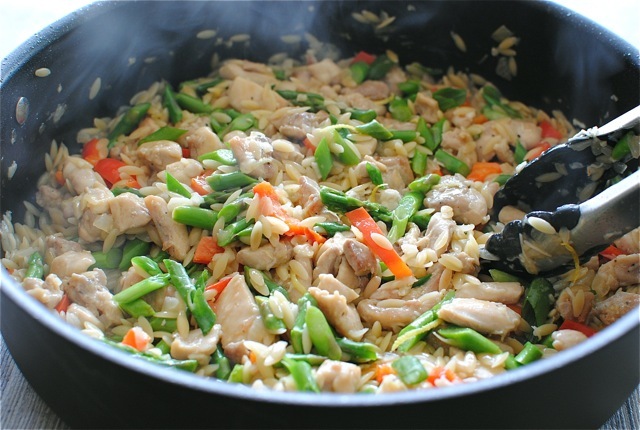 Every recipe looks even better than the last one. And, just when I think that I have found the next one that I want to make, you post another one. I have to make this one. Now...don't post another one until I have time to go to the grocery store. :) Phillip Phillips...totally awesome! I made this recipe and it was delish!!! Thanks for the great recipe! !